Andy Rathbone » My laptop keeps opening windows and menus by itself! My laptop keeps opening windows and menus by itself! Q: When I leave my laptop’s mouse pointer hovering over certain places on the screen, it opens and closes items by itself. This happens throughout Windows 7, even when I inadvertently leave the pointer resting over something. Is there any way I can make Windows only open things when I click them? A: Laptops and their trackpads can be notoriously uncooperative. A tap in the wrong spot, or the inadvertent touch of a shirtsleeve, can send the pointer scurrying. In your case, your thoughtful trackpad notices that you’ve left the pointer hovering over a menu option or icon. So, after waiting a few seconds, your trackpad tries to help you out by automatically choosing that item for you. Right-click the Start button and choose “Properties.” The “Taskbar and Start Menu Properties” window appears. Click the “Start Menu” tab, if necessary. Click the “Customize” button near the top; the “Customize Start Menu” dialog box appears. Click “OK” on the dialog boxes to close them. That brings the touchpad back under your own control, rather than subject to your computer’s assumptions. Personally, I loathe touchpads. Instead, I carry around a small wireless Adesso mouse that’s easy to slip into the bag with my laptop or tablet. You’ll find many other portable wireless mice on Amazon, and they’re much more intuitive than trackpads. 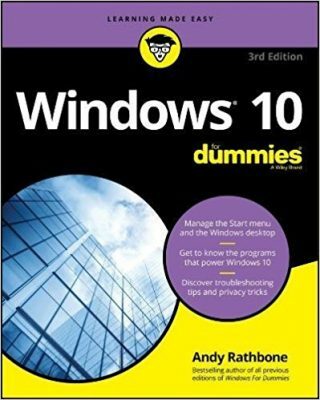 Posted: February 20th, 2012 under Hardware, Windows 7. Alas, this is unchecked but my pointer still opens things automatically if I’m not careful to move it to a blank part of the page before I start typing. This even moves my curser to a previous part of the text I’m working on so suddenly my words appear at an earlier part of an email. It also happens on websites. If I leave my curser for a second or two, it automatically selects or opens whatever my curser happens to be on. Any other suggestions? 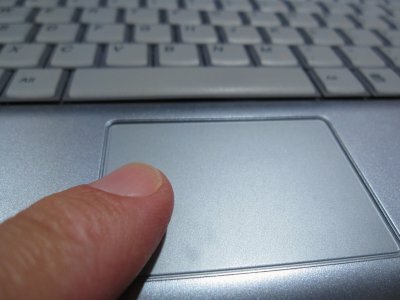 Tamara – To see if the problem stems from your touchpad, borrow a USB mouse from a desktop computer, and try that for a few hours. If the problem doesn’t happen, you’ll know the problem lies with your laptop’s touchpad. If that’s the case, drop by your laptop manufacturer’s website, check the Support section, and look for Downloads. Sometimes installing an updated touchpad driver can cure problems that have caused headaches for months. I’m using Windows XP pro SP3. I am having problems with my pointer going to the top, middle of the page when I am online and I usually have to hard start my laptop to get control again. I use an external wireless mouse. What do I do now because obviously the Geek Squad is not much help. Also different pages open up on their own. Theresa: You need to isolate the problem to see what’s causing it. For example, does it happen when you just use your trackpad, and don’t turn on your wireless mouse? Have you replaced the batteries in the mouse? Have you tried a regular, corded mouse to see if the mouse pointer problems still occur? Dear Sir, You are a genius. I had the exact same problem as Tamara (which she explained very well). My problem is solved, thank you. But in case it reappears I will try your second suggestion about the touchpad. Be blessed.